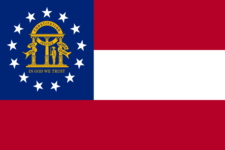 Any business that sells a product in the state of Georgia must register to collect and pay sales tax. If your business only provides a service, it is not required to collect or pay sales tax. Tax Reminder works year round to keep official tax form info up-to-date for Georgia and the rest of the USA. The IRS and states change their forms often, so we do the hard work for you of figuring out where the official form info is located. Never forget to file GA ST-3 again. Are we missing a Georgia tax form?